Events now are the parts of our daily life. We participate in or manage one or more events almost every week. It's also the same important to know the number of actual participants to handle an event perfectly. If you are an invited guest you should inform the host whether you are going to attend or not. In this era of technology, you can perform both of the obligations by just creating an RSVP form in WordPress. Treat technology as a gift of time. Make your life easier and more comfortable with automation. 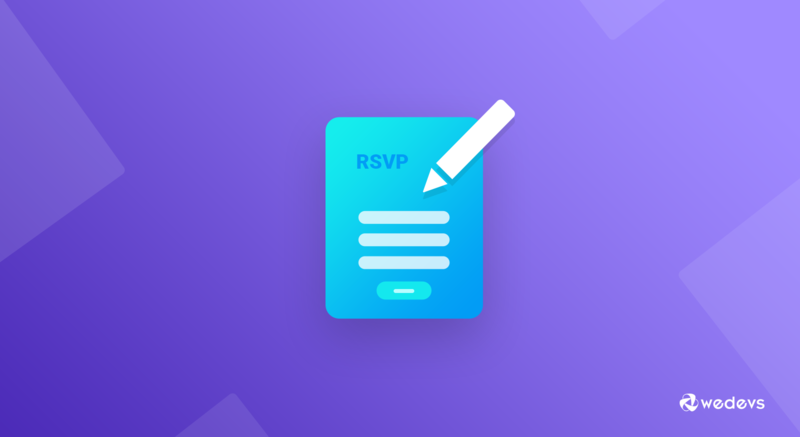 In this short article, we are going to show you how to easily create an RSVP form in WordPress. But the funny thing is- it’s now a fixed idiom even in French! French people also use the term RSVP in their invitation instead of the regular form ‘répondez s'il vous plait’. Sometimes hosts write ‘please RSVP’ for making it easy to understand to all. Remember: RSVP doesn't mean to respond only if you are coming. Or respond only if you are not coming. It simply means the hosts need a defined headcount for their planned event with the specified date in the invitation. RSVP is a broadly used term in today's invitation card around the world. Print or digital whether is the format, RSVP has now become a trend. Check out why do you need an RSVP form in WordPress to ensure total headcount of your planned event. Where to Use an RSVP form? An RSVP form in WordPress can be used for any occasion you have planned for. You could simply use it for your most formal corporate events or a special family celebration. Use RSVP forms for your any type of incidents. And even a birthday party or weddings! A single WordPress form will perform all the tricks. 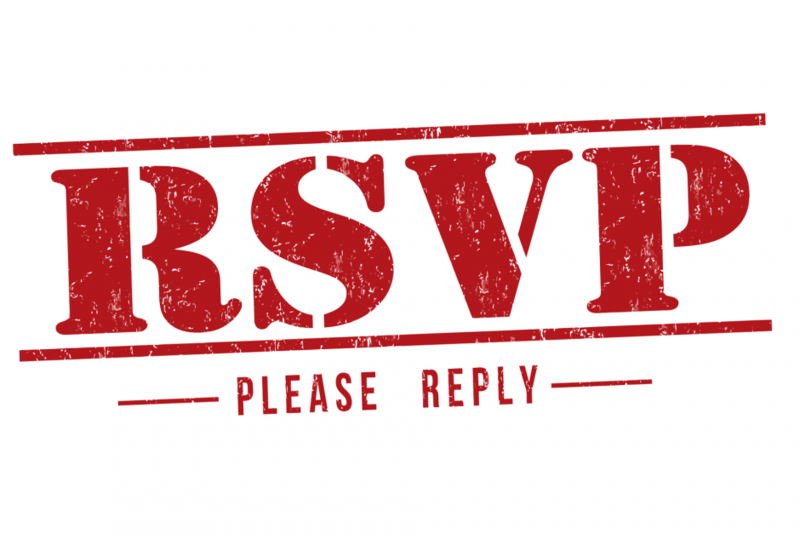 There are a number of ways to create an RSVP form in WordPress. The easiest way to make your job done is to use a plugin. 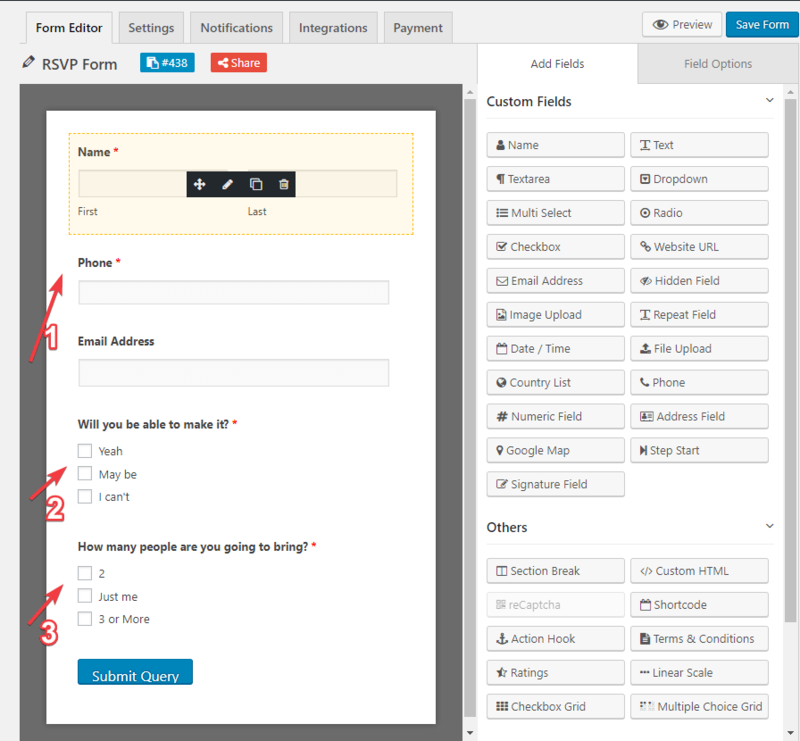 You could select WordPress User Frontend, Ninja Forms, WP Forms, and weForms to create your RSVP form. 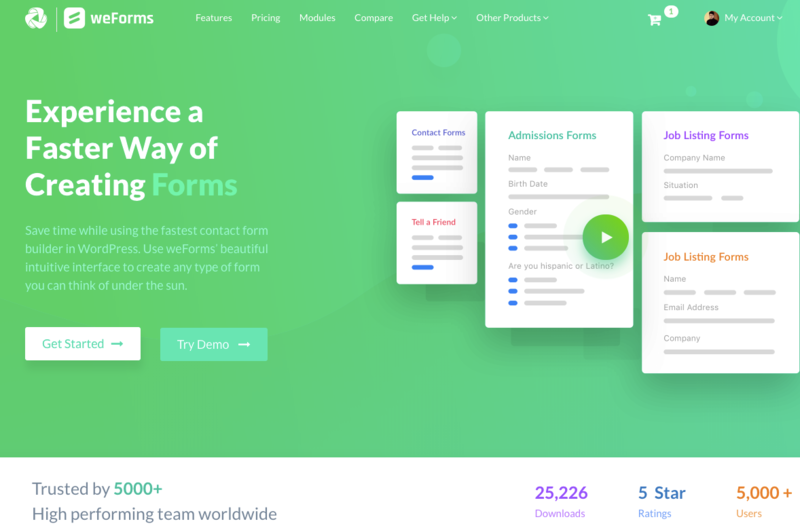 Our pick for you is the weForms– the easiest drug & drop form builder in the WordPress community. Why weForms is the best option for you? …And finally, it's free ! 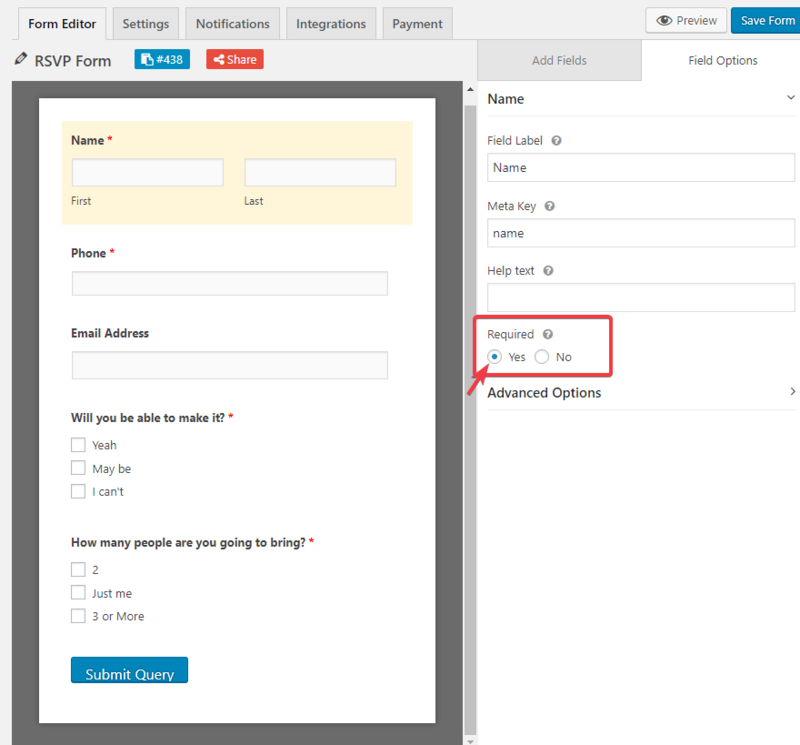 How to Create an RSVP Form in WordPress with a Few Clicks! 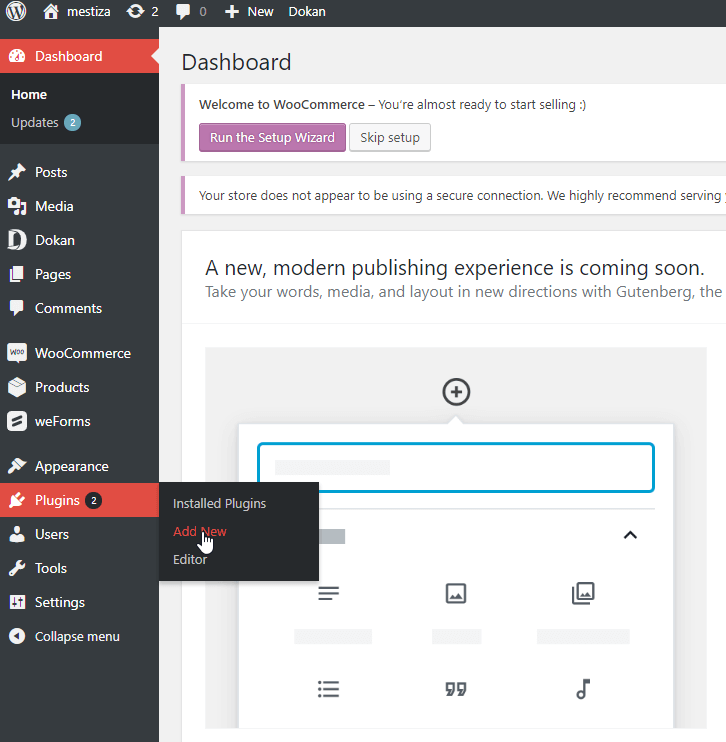 Can you add or install a plugin on your WordPress site? 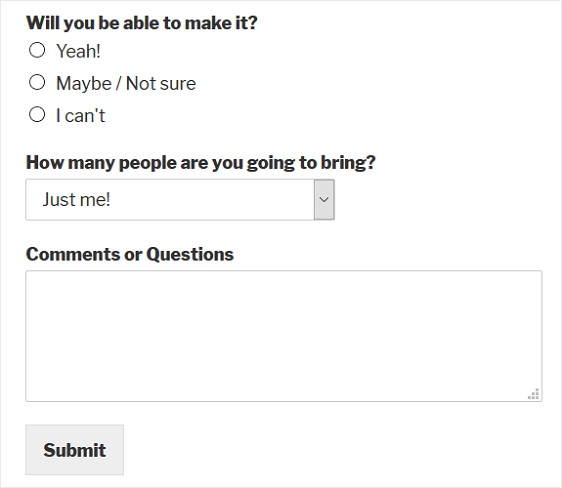 if yes, then that's enough to create an RSVP form on your own. Follow the instructions below. 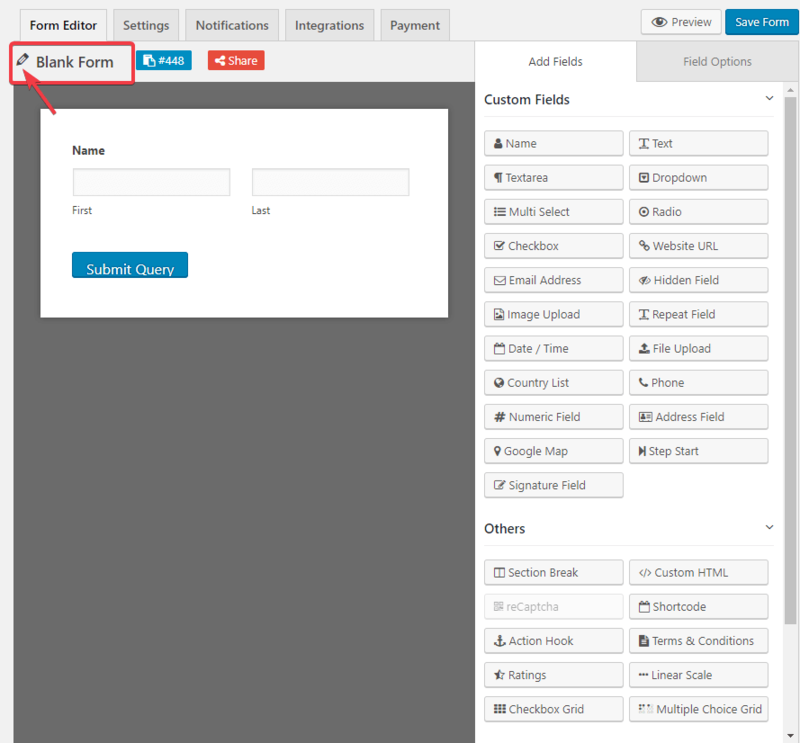 Once you have done the installation, go ahead to create a form using weForms. Before creating your form, just check how weForms actually works! Just check out in below screenshot. Carefully check the required option of your form. Select Yes if you want to keep that particular form field as Required to fill for the user, otherwise select No. You have successfully created your RSVP form in WordPress. Here you can see the form preview you just created. 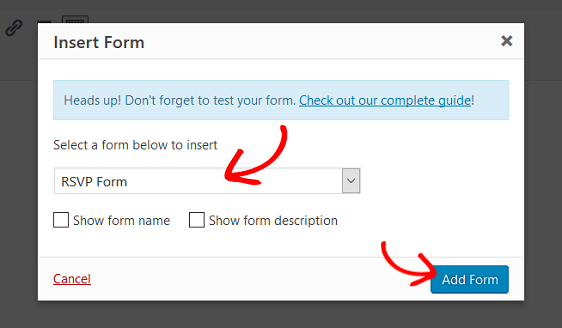 Yes, creating an RSVP form in WordPress is this easy with weForms. Go to your form creating page. Edit and change as your needs and click on Save button in the top corner of the page. Check out the below GIF. Like earlier, Go to your form creating page. And finally, there is a payment option for you for further needs. Once you have done all the above process, click on Save button. Congratulation! You have successfully completed all the necessary tasks. Your RSVP for in WordPress is ready now. Note: weForms will give you the opportunity to integrate the plugin with some most useful available modules. weForms have 2o+ available modules for you to integrate with. After you have created an RSVP form, you need to add it to your WordPress website. 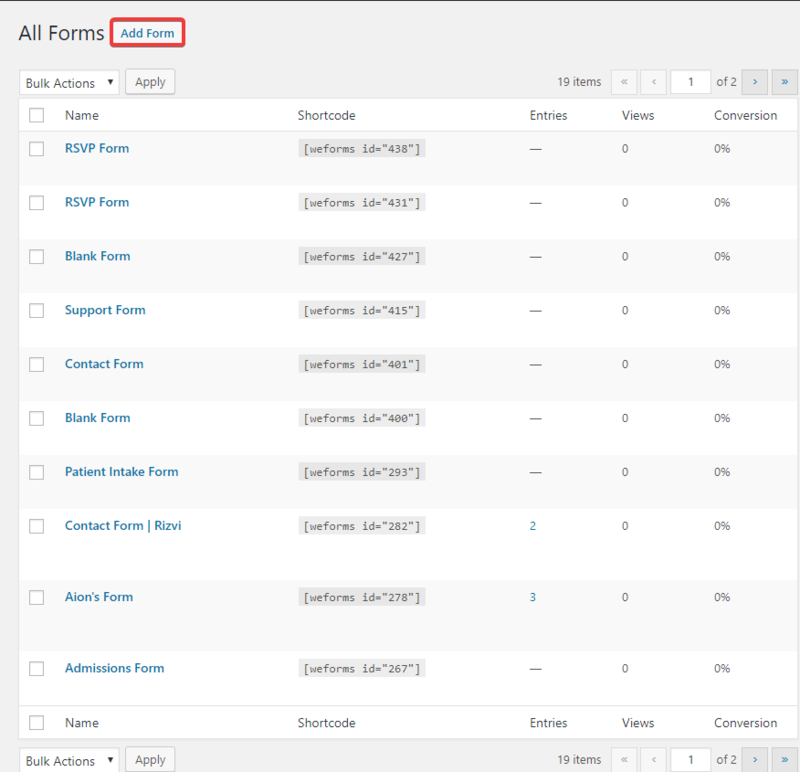 weForms allows you to add your forms to many locations on your site including your blog posts, pages etc. Now, publish your post or page. Your RSVP form will appear on your website. 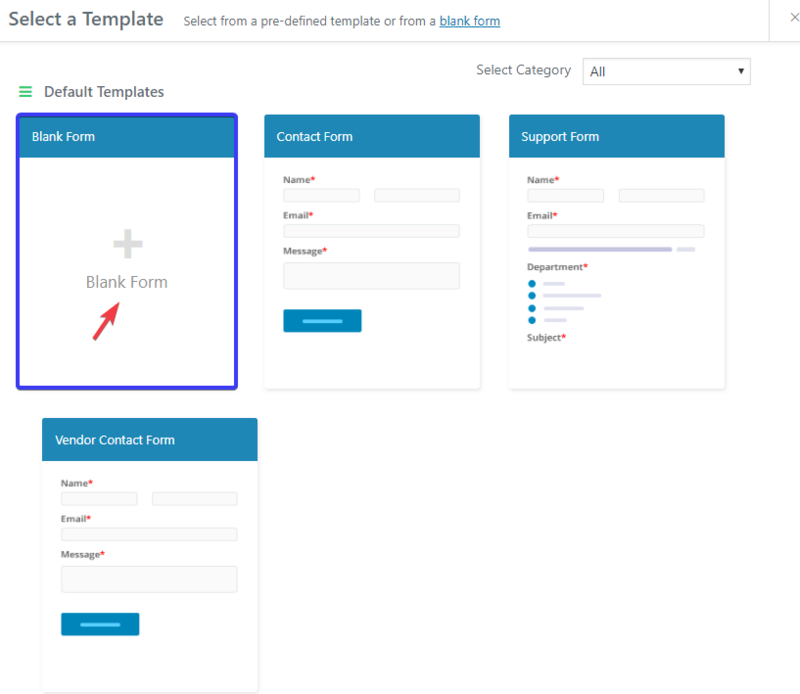 Now you know how to create an RSVP form in WordPress easily with weForms. Events are always important in our life. Why not make it easy using automation. Collect necessary data and make a perfect plan. Your attendees will wonder seeing everything perfect just as they expected. And weForms is the kind of plugins that can help you manage everything easily. So if you are still not a user of weForms, then its high time you become one today !! Still not convinced? 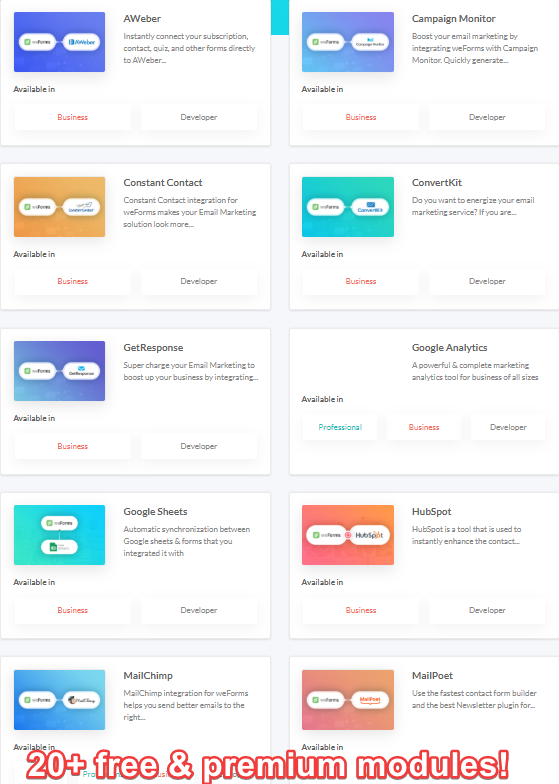 Learn more about weForms features and compare it with some of the best form builders of WordPress to decide yourself. Also, check out this easy step by step guideline if you want to create your own blog using WordPress in minutes! Like blog sites, WordPress is now best fit to create a business website. Big brands around the world now rely on WordPress for their online presence. ← How to Use Insights from Behavioural Economics in Your E-commerce?